I wish ingredient lists would clearly spell out ALL the ingredients in foods, like gluten and other potential allergens — and that restaurants would do the same — but we all know we’re just not there yet. This leaves many of us in the dark, guessing where potential reactionary culprits may lie. In this instance, when my server shared that a dill pickle came with my lunch, I felt confident the food would be great and I would be fine. Yet that very pickle was not, in fact, a traditional dill pickle. It had been made using malt vinegar — which contains gluten. It only took one bite for that realization to dawn on me, and to stop eating it, but by then it was too late. What Do a Mack Truck and “Being Glutened” Have in Common? Me. I live with Multiple Sclerosis (MS), Epstein Barr, Hashimoto's and undiagnosed Lyme disease. 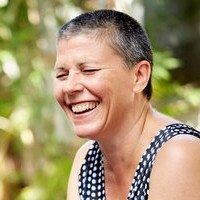 In my healing journey, consciousness regarding food has been a huge asset. Since 2011, I have maintained a gluten-free diet. However, I have been served gluten without my knowledge three times. All three times it happened while I was eating out, and in each instance my body reacted with greater intensity, rapidly returning to a symptomatic state. It was so extreme, so scary, that two of the three times, I ended up in the emergency room. MS manifested in my body with many symptoms, the scariest of which is the ‘MS rib-girdle.’ I can only describe this as feeling like a Mack truck is sitting on your chest making it hard to expand your lungs to take a full breath. It also comes with intercostal rib spasms that make it feel like your lungs are trying to give birth. Breathing and talking are nearly impossible. In situations like this, I used to pray for ‘one minute’ of relief with no rib girdle because the pain was so intense that even resting my arms against my side was too much to bear. When I ingest gluten in any form, these symptoms return within 20 minutes — and with a vengeance that can, and will, land me in the ER. Food Allergy or Intolerance? What’s The Difference? There are two negative ways certain foods can affect us. Either we have an allergy or an intolerance / sensitivity. Food allergies can be life-threatening and are an immune system response whereas a food intolerance is more of a digestive issue. Although I do not have celiac disease per se, my body has developed an intense allergy to gluten that manifests in an immune response so severe that I struggle to breathe. I also have food intolerance which translates into bloating and upset stomach any time I ingest dairy or grains, but nothing life-threatening. Why Are So Many Either Allergic or Sensitive to Certain Foods? Most of us have never really taken the time to figure out whether we have any food sensitivities or allergies. Western medicine teaches us that if we have a bodily response to foods we eat, we should take a pill to stop the symptom, and keep eating. For me, that western lens created the space for all my diseases to be large-and-in-charge, robbing me of my physical freedom while causing me to live in constant pain. Once I “got conscious” about my life choices, which included being mindful of the foods I ate, the supplements I took, and my overall self-care, I was able to manage my health to live optimally. So, What Can You Do to Protect Yourself When You Suspect (or Know) You Have a Food Allergy or Sensitivity? Stop ingesting that food and see how you feel. If you feel generally better, and your symptoms go away, keep going and simply don’t eat that food or foods that contain that ingredient any longer. If you so desire, get a skin-prick test at your doctor to confirm sensitivity to that particular food and/or similar foods. Make sure that IF and WHEN you dine out, you communicate dietary sensitivities and allergies to the establishment. If you get an inkling that the staff doesn’t believe you, or that your concerns are being brushed under the carpet, simply ABSTAIN. Order a hot tea or a side dish you know to be safe. And don’t worry if the staff treat you like you’re just being “difficult.” Your body will thank you later. Dine at restaurants and establishments you know to be mindful. Do a little research. Read reviews. Call ahead and ask a few questions. And, when you find a restaurant or establishment that treats you right, make sure to write a positive review so you can pay it forward to their next sensitive guest. Yelp can be your friend. There are times when eating out presents itself as an obligation, and bowing out simply isn’t an option. Sometimes I call just to be certain I can make substitutions and to confirm the restaurant staff is comfortable with (and accustomed to) handling guests with dietary restrictions. If they seem blasé, or have to put me on hold to ask someone else about my restrictions, I play it safe and eat at home. I can always join the celebration or event fashionably late, choosing my health first and not risking consumption of potentially hazardous (to me) foods. When in doubt, trust your gut and don’t imbibe. If you experience food intolerance or a true allergy, some supplements can help. I take a daily probiotic to ensure my gut flora is being supported, in addition to turmeric to support my body’s natural anti-inflammatory response, and finally magnesium to aid in nutrient absorption while relaxing my muscles. These supplements coupled with conscious food choices (and a lot of water) offer a great, supportive foundation for potential food issues. I’m a huge fan of NutriGold and feel safe buying any of their products. They verify what they say on their labels via third parties, and even make certificates of analysis available to anyone who wants them, even without buying their products. That level of commitment to transparency is really important to me, and one of the many reasons I’m proud to be connected to them. Indeed, anyone with allergies and food sensitivities HAS to be a “label reader” and they have to be able to trust that what the label says is actually true. I suggest everyone start by adding these 3 supplements to their regimen for their best chance at success. This supplementary foundation will aid you in reaching your best life and help decrease the negative effects of any foods to which you’ve become sensitive. Probiotics Gold: Formulated with 5 billion CFUs of beneficial probiotics to help support digestion, immunity, and other aspects of health, Probiotics Gold delivers beneficial microflora all along the intestinal tract with the patented BIO-tract® controlled, targeted-release delivery system. 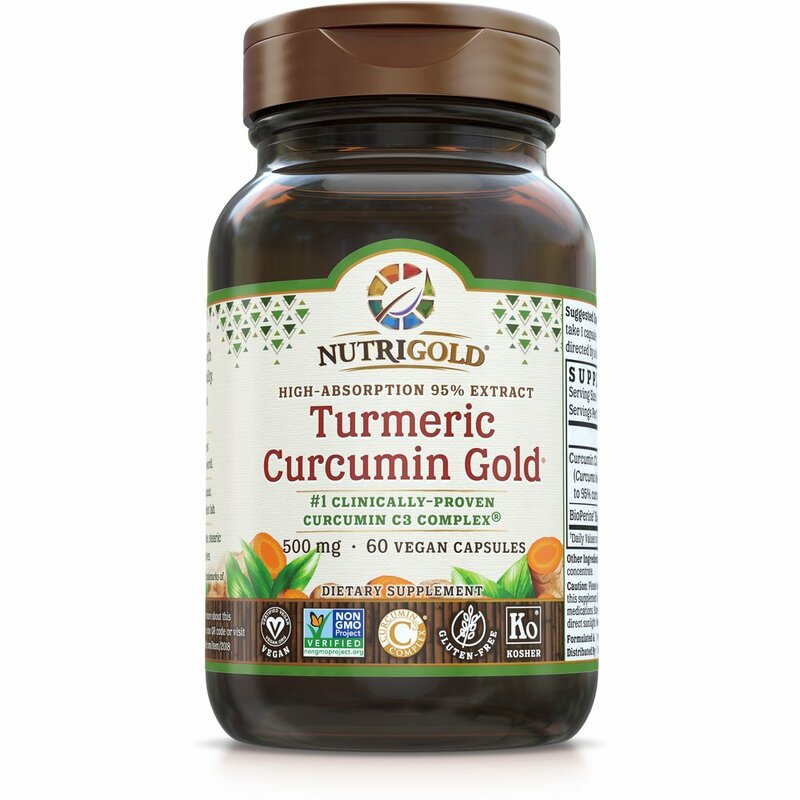 Turmeric Curcumin Gold: The active ingredients in turmeric, responsible for the medicinal root's abilities to support the body's immune response and protect cells from free radical damage, are called curcuminoids. Curcumin, in particular, is noted for its antioxidant properties and is one of the best-studied products in biomedical literature at a pre-clinical level. Magnesium Gold: A nutritional therapist recommended I up my magnesium intake to help my body absorb key nutrients that being 'glutened' may be denying me. Magnesium also has a side benefit of supporting more restful sleep and I even noticed it helped with my nighttime restless leg issue! Taking a precautionary digestive enzyme has also been known to support your body in the event of a food-related issue and is a great complement to eating out. Take your enzymes 30 minutes before eating food for optimal effect. If you find that even with your best efforts, you still experience a food issue, organic hemp CBD balm can offer much-needed pain relief. I also find that daily consumption of bone broth helps to calm the stomach while providing ample collagen to support your gut lining. Rest and keep drinking plenty of fluids to push the toxins out. Adding near-infrared sauna is also very helpful in supporting your body’s natural detoxification process through sweating. In closing, I’d like to just say this. They say one bite can mess up your gut flora for a year, which shows how any of this can be a large-scale issue. I’m four months in and feeling better each day. With mindful practice, good whole foods, and a few supplement aids, I’m doing everything I can to lessen that year. My advice to you is simple. If you suspect a food allergy or sensitivity, do yourself a favor. Figure it out now — and then offer your body the same chance to heal so you can live your best life for the days, weeks, and years to come. Want to know more about Paleo Boss Lady? Check out her exclusive interview with Forever Young Radio here!